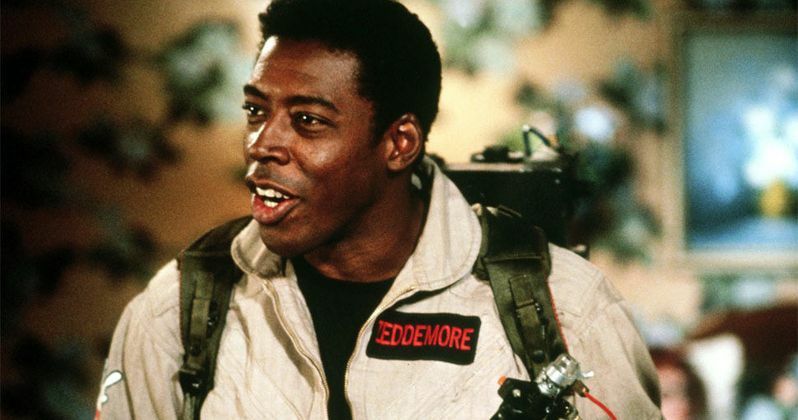 Ernie Hudson admits that he would like to return for Ghostbusters 3. However, the actor has revealed that he has not been officially approached about a part in the highly anticipated sequel. Last week, it was announced that Jason Reitman was taking the franchise back to the continuity from the first two installments and many fans have been hoping that the original cast will be back on board. Bill Murray and Dan Aykroyd have not confirmed whether or not they will be making appearances. In a new radio interview, Ernie Hudson said that he isn't sure what's happening with Ghostbusters 3. This comes after Hudson and Dan Aykroyd posted their excitement about the sequel on social media, which seemingly indicated that they were both in on the fun. But, according to Hudson, that is not the case. He had this to say. "I don't know. Nobody has approached me with a contract. I think the Ghostbusters fans have been wanting (a passing of the torch]) dynamic to happen, so I know whatever happens is going to be in that tradition... I'm excited about that. I'd be more excited if they called me and offered me a job, but no matter what happens the fact that they're doing it is really cool." Ernie Hudson seems to have a pretty good attitude about the whole situation, but it seems that the original cast could really show up for at least cameos in Ghostbusters 3. Dan Aykroyd has been teasing this movie for quite a while and may have even spoiled the big secret late last year when he was asked for an update. Hudson, Aykroyd, and Bill Murray all made cameos in the 2016 all-female version of the franchise, which was torn apart by fans and critics alike upon its release, even though the original cast was involved. No official details about the Ghostbusters 3 storyline have been revealed at this time, but it is believed that it will focus on a group of teenagers, consisting of two boys and two girls. Along with that bit of information, it has been rumored that this new group could be the grandkids of the original characters. Again, this has yet to be confirmed officially, so we don't know exactly how the sequel will be structured and who or what it will feature. Bill Murray has long been the one to decline appearing in a proper Ghostbusters sequel. The actor reportedly did not enjoy his time on the set of the second installment and has passed on the opportunity to join in on other projects many times over the years. However, if this is a "passing of the torch" movie, it seems inevitable that Murray and the rest of the cast will at the very least make a cameo. Dan Aykroyd predicted at the end of last year that Murray would take part in Ghostbusters 3, even if he had to play a ghost. You can check out the interview with Ernie Hudson over at The Johnny Dare Morning Show. Ghostbusters 3 Director Meeting with Possible Leads This Weekend?